Under Google’s tutelage, Android has grown to become the world’s most popular mobile operating system. If Cyanogen has its way though, Google will lose control of the mobile OS. According to research firm IDC Corp., 81.5 per cent of all smartphones shipped in 2014 ran Google’s Android OS, up 32 per cent year over year. And one of the reasons for Android’s massive popularity was its birth as an open source mobile OS that handset developers could modify the OS for their own devices and customer needs. CyanogenMod is a popular flavour of Android, and Paolo Alto, Calif.-based Cyanogen was formed to commercialize it with a commercial distribution, Cyanogen OS. The company recently closed an US$80 million Series C financing round with investors that included Twitter Ventures and Rupert Murdoch, as well as electronics vendor Qualcomm Inc.
“We’re committed to creating an open computing platform that fundamentally empowers the entire mobile ecosystem from developers to hardware makers, and most importantly, consumers around the world,” said McMaster in a statement announcing the financing round, which brought its total financing to US$110 million. According to Peter Levine, a partner at Cyanogen investor Andreessen Horowitz, there’s a play for Cyanogen as an alternative to the market dominance of Google and Apple. 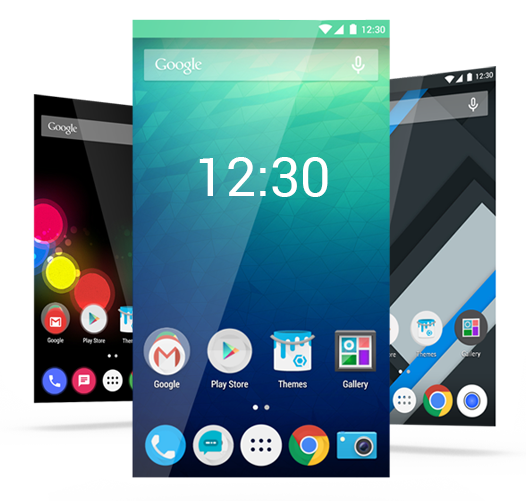 Cyanogen users can choose from a number of themes on their handsets. “App and chip vendors are very worried about Google controlling the entire experience,” Levine recently told Forbes. As Google seeks to push a more vanilla version of Android, Cyanogen aims to invest in continued development of its own open source variant as a more customizable alternative, and offer customization services to carriers and device makers that don’t have the resources to do so themselves. Indian smartphone vendor Micromax has already signed on, and China is seen as fertile territory given Google’s withdrawal from the market.